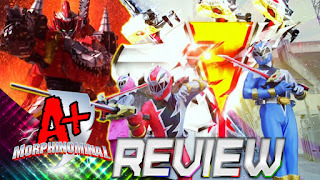 We return with a brand new review for the newest episode of Ryusoulger! We follow our Ryusoulgers in search for their Dinoknights as we examine Tyramigo, along with his new transformation, Dinoknight Rex! We also examine the connection between the Druidon and Minosaurs, plus much more!